österr. Musikverleger u. Komponist (1787-1842). Autograph letter signed. Wien. 4to. 2 pp. Mit Adresse. 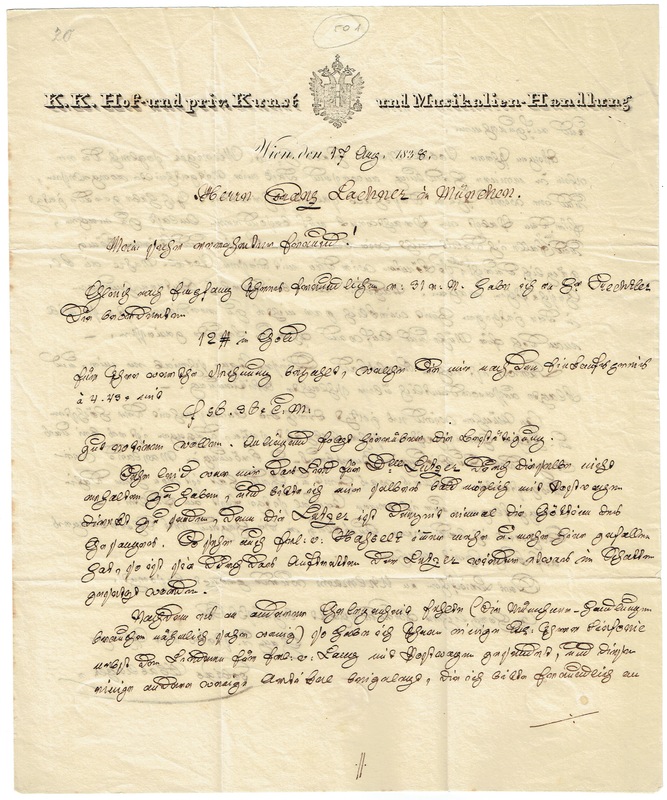 To the German composer and conductor Franz Lachner, informing him that he has paid a due sum to the librettist Otto Prechtler, and discussing the sopranos Jenny Lutzer and Wilhelmine van Hasselt-Barth; regarding Lachner's "Vocal-Messe" he will immediately contact Mr. Wieninger; he is pursuing a "work of splendor" for the Pope (Gregory XVI). 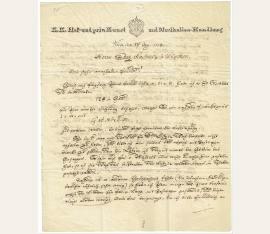 – On stationery with lithographed letterhead "K. K. Hof- und priv. Kunst- und Musikalien-Handlung". Very rare.